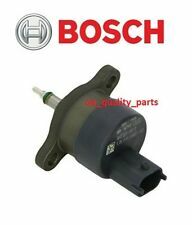 Hyundai Santa Fe 2.2 CRDI Fuel Pump Bosch 33100 27400.Tested and working as it should.Fits models 2006/2012. HYUNDAI TERRACAN 2.9 TD CRDI, FD ESTATE. BY DOING THAT WE CAN AVOID OPENING A CASE/DISPUTE. "ITEM NOT AS DESCRIBED". A TOP QUALITY HIGH PRESSURE FUEL PUMP. E Bay shows. As there could be more options of part to fit. PUMP/SENDER UNIT ONLY - DOES NOT INCLUDE TANK. VEHICLE REF: NK03. THIS DOES NOT INCLUDE NI, ROI, HIGHLANDS OR OFFSHORE ISLANDS. Hyundai i 1.7 Diesel High Pressure Fuel Injection Pump WARRANTY. Condition is Used. Dispatched with Royal Mail 2nd Class. Hyundai Matrix Diesel Fuel pump in tank, fits 1.5 CrDi diesel models from 2004 to 2010, this is the fuel pump. only, when you remove your complete tank sender and fuel pump you simply replace this pump in the. FUEL PUMP WAS FITTED TO THE CAR FOR ABOUT HALF AN HOUR AND THEN REMOVED DUE TO A MIS-DIAGNOSIS OF A FUEL PROBLEM. THE ORIGINAL ADVERT FOR THIS FUEL PUMP SAYS THAT IT REPLACES 31110-2E900. PART NUMBER LEMARK LFP438. Part Number: 31111B4000. NEW Genuine Hyundai Parts from Hyundai Main dealer. This item may be listed for your vehicle model but there are variations between models. Part Number: 311101F980. NEW Genuine Hyundai Parts from Hyundai Main dealer. This item may be listed for your vehicle model but there are variations between models. Reference OE/OEM Number 31110-1J000, 311101J000, 31110-1M000, 311101M000, 31110-1M500, 311101M500. For i20 1.2 & 1.4 2008-2015. Champion Spark Plugs (x4) for 1.0 1.2 1.25 Hyundai i10 i20 Picanto Kia Rio MK3 orie.ewygp(65). Part Number: 311121A600. NEW Genuine Hyundai Parts from Hyundai Main dealer. This item may be listed for your vehicle model but there are variations between models. Removed from a 2012 Hyundai ix35 1.7 114Bhp - 5 Door 4x2 - Diesel - 6 Speed Manual - Engine Code D4FD. ix35 2010 To 2013. Manufacturer Colour. Part Colour. Vehicle Colour. Transmission Speed. Transmission Type. 2007-2011 Hyundai i30 1.6 CRDi high pressure fuel pump p/n 33100-2A410. Paint code BV. The car has been tested prior breaking and the part was fully functional. Genuine Hyundai part. Vehicle compatibility is a rough guide and it is your responsibility to check if this part will fit your vehicle. Part Number: 31110D7900. Tucson (16-). This item may be listed for your vehicle model but there are variations between models. Part Number 0445010596. Factor Number: 0445010596. 2016 HYUNDAI TUCSON Injector Pump (High Pressure). This item has been removed from a: 2016 HYUNDAI TUCSON. Year: 2016. Model: TUCSON. Make: HYUNDAI. Fuel type: Diesel. FOR YEARS: 2010 (2010). BACS Transfer. Barrington Auto Salvage have over 25 years experience. We provide a large range of quality used car parts for all major manufacturers. Cash on collection. Credit / Debit card. HYUNDAI i10 (2008 - 2012) MK1 1.2 Comfort. ALL THESE PARTS ARE REMOVED FROM A RIGHT HAND DRIVE CAR. ANY COMPATIBILITY GIVEN SHOULD BE USED AS A VERY GOOD GUIDE 'ONLY.'. OTHER CONSIDERATIONS. We will do our utmost to avoid this from happening. HYUNDAI SANTA FE MK2 2.2 CRDI AUTO 2WD 2007. The Mill Walk Garage Ltd. ANY LOCATION OUTSIDE THE UK. Arran - KA27 KA25. Oban - PH 33, PA20-49, PA60-80, KA28. Inverness - ALL. Shetland ZE1-3. Orkney KW15-17. 2006-2009 HYUNDAI SANTA FE 2.2 CRDI HIGH PRESSURE PUMP Condition is Used. Dispatched with eBay delivery – Shutl 1 day. HYUNDAI MATRIX 2001-2008 Fuel pump and sender. Part no 31110-17005. PART NUMBER LEMARK LFP438. FITTED THIS FUEL PUMP TO THE CAR FOR LESS THAN HALF HOUR AND THEN REMOVED IT DUE TO A MISDIAGNOSIS OF A FUEL PROBLEM. THE ORIGINAL ADVERT FOR THIS FUEL PUMP STATES THAT IT REPLACES 31110-2E900. PETROL 1.8 / 2.0. PART NO:31110 - 2D. VEHICLE: HYUNDAI COUPE. Dvla approved End of life vehicle centre. LISTED ITEM: IN TANK FUEL PUMP. Fits years 2002 to 2007. Howkins Motor Spares (Leicester). REMOVED FROM 2004 BLACK HYUNDAI COUPE SE 2.0 PETROL 5 SPEED MANUAL (PAINT CODE EB). 2012 HYUNDAI IX35 Injector Pump (High Pressure). This item has been removed from a: 2012 HYUNDAI IX35. Model: IX35. HFIP00167 Injection Pump ( ). Make: HYUNDAI. Fuel type: Diesel. Part Type: Injector Pump (High Pressure). ENGINE CODE: D4FB 16V 1.6 LTR CRDi. FULLY TESTED & EXCELLENTWORKING HYUNDAI ORIGINAL FUEL INJECTION PUMP COMPATIBLE FOR HYUNDAI ACCENT, i30, ELANTRA & KIA CERATO, SEED & SOUL 2011-15. COMPATIBLE FOR VARIOUS MODELS OF HYUNDAI FITTED WITH ABOVE ENGINE SPECIFICATIONS. FOR YEARS: 2003 (2003). BACS Transfer. Barrington Auto Salvage have over 25 years experience. We provide a large range of quality used car parts for all major manufacturers. Cash on collection. Credit / Debit card. Hyundai Tucson Diesel Fuel pump in tank, fits 2.0 CrDi diesel models from 2004 to 2010, this is the fuel pump. only, when you remove your complete tank sender and fuel pump you simply replace this pump in the. 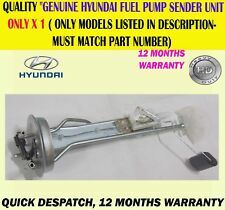 Genuine fuel pump made by Hyundai. HYUNDAI ????. Details : HYUNDAI COUPE SE Injector Pump (High Pressure) Mk 1COUPE 1998. HYUNDAI COUPE SE Injector Pump (High Pressure) Mk 1 97 98 99 00 01. Vehicle Details : 1998 HYUNDAI COUPE SECOUPE 1998. COUPE 1997 -2001 Mk 1. ENGINE CODE: D4EA D4EA-V 16V SOHC 2.0 LTR CRDi. FULLY TESTED & EXCELLENTWORKING HYUNDAI ORIGINAL FUEL INJECTION PUMP COMPATIBLE FOR HYUNDAI SANTA FE, TUCSON, ELANTRA, TRAJET & KIA CARENS II 2000-08. THIS IS THE DIESEL FUEL PUMP FROM IN THE TANK, FROM A HYUNDAI ACCENT 2001 -2007 APPROX. IT'S IN GOOD USED CONDITION. Details : HYUNDAI I10 PREMIUM Fuel Pump Mk2 (IA/BA) 1.0/1.2 Petrol Sender and Pump AssyI10 2016. Model : I10. I10 2014 -2018 Mk2 (IA/BA) 1.0/1.2 Petrol Sender and Pump Assy. Fuel type : Petrol. Year : 2016. Removed from a 2014 Hyundai ix35 1.7 114Bhp - 5 Door Estate - Diesel - 6 Speed Manual - Engine Code D4FD. ix35 2013 On. Fuel Tank Sender and Pump Unit. “Great Bridge Parts” has high reputation for both quality and service and believes itself to be the market leader in vehicle recycling in West Midlands. (Other Details: Pump/Sender 1.6, 2.0 Eng 02-06. Fuel Pump. 2.0 Petrol. HYUNDAI COUPE Fuel Pump 0000271850. This item was removed from a 2002 vehicle. Jersey, Guernsey, Scilly Isles) as well as for the Scottish Highlands. PART NO:31110 - 1C010. VEHICLE: HYUNDAI GETZ. PETROL 1.1 / 1.3. Dvla approved End of life vehicle centre. LISTED ITEM: IN TANK FUEL PUMP. Fits years 2002 to 2008. Howkins Motor Spares (Leicester). FOR YEARS: 2014 (2014). Barrington Auto Salvage have over 25 years experience. We provide a large range of quality used car parts for all major manufacturers. BACS Transfer. Cash on collection. Credit / Debit card. Paint code BV. The car has been tested prior breaking and the part was fully functional. Genuine Hyundai part. Vehicle compatibility is a rough guide and it is your responsibility to check if this part will fit your vehicle. 2016 HYUNDAI TUCSON Injector Pump (High Pressure). This item has been removed from a: 2016 HYUNDAI TUCSON. Year: 2016. Model: TUCSON. Make: HYUNDAI. Fuel type: Diesel. Part Type: Injector Pump (High Pressure). Check the exact parts numbers for your vehicles what you need. Parts number with VIN(Chassis Number). PUMP/SENDER UNIT ONLY - DOES NOT INCLUDE TANK. VEHICLE REF: RK03. THIS DOES NOT INCLUDE NI, ROI, HIGHLANDS OR OFFSHORE ISLANDS. 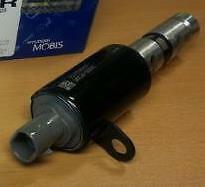 (Other Details: Mk1 Fuel Pump and Sender for 1.7 CRDi Diesel 13-15. 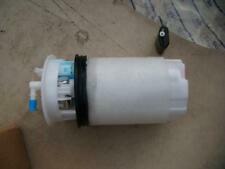 HYUNDAI IX35 Fuel Pump 0000338347. This item was removed from a 2014 vehicle. Jersey, Guernsey, Scilly Isles) as well as for the Scottish Highlands. 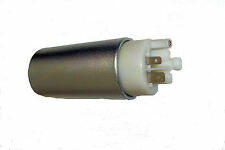 Part numbers we have for this fuel pump are : 31111 37250,31111 37200,31111 37150,31111 28300, 31110 28100,31110 28300,31111 22050,31111 23300. There may be signs of wear, but these are only from storage of item. Hyundai price - 630. Jaguar Alloy Wheels - Jaguar XE 18" Arm Alloy Wheels. Jaguar XF Rear Spoiler X260 – Rodium Silver. Buy now and save!